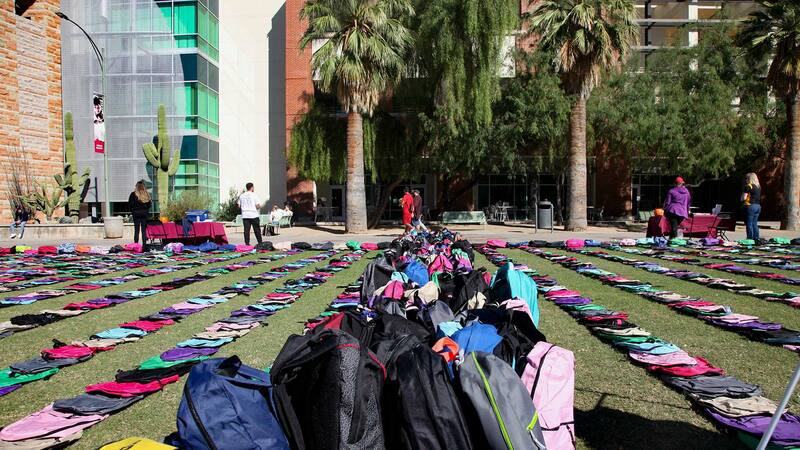 The "Backpack Project" on the University of Arizona Mall, Oct. 31, 2018. 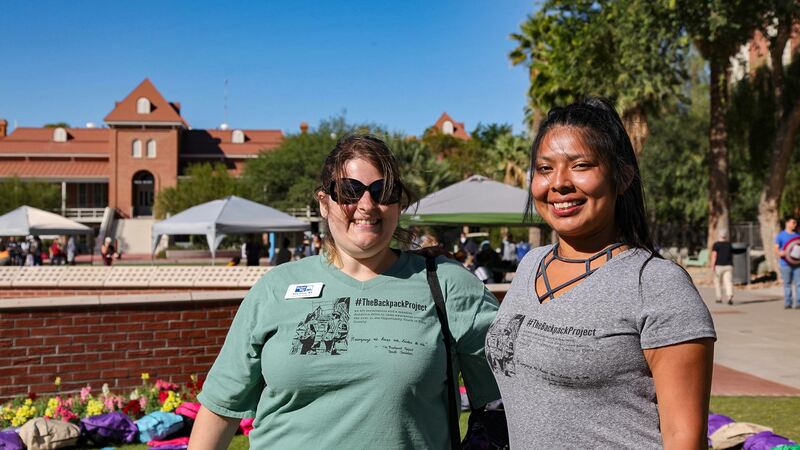 The United Way and the University of Arizona partnered to create the "Backpack Project," a massive art installation and donation drive that was exhibited on the UA mall Wednesday. Katy Gross, senior program manager with United Way, describes the project. 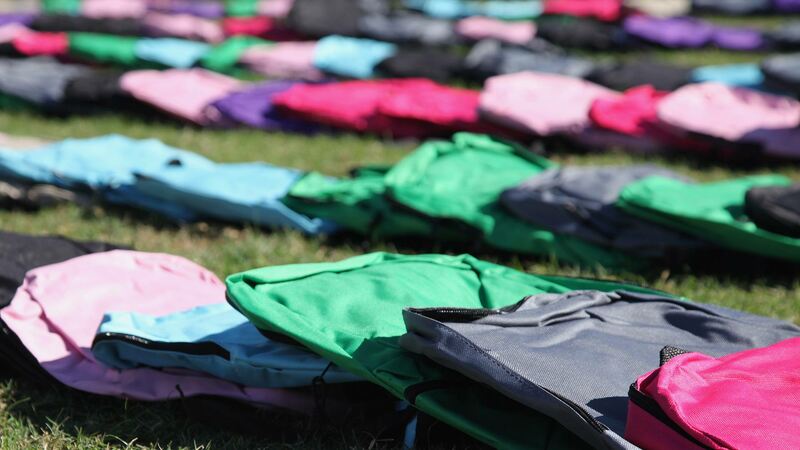 "Our goal is to collect 21,000 backpacks to help represent the number of opportunity youth in Pima County. Opportunity youth are 16 to 24 year olds who are disconnected from school or not working," she says. Organizers say opportunity youth are at greater risk for teen pregnancy, severe economic hardship and homelessness than their peers. Seven out of 10 opportunity youth in Pima County are young people of color. Backpacks are meant to represent "opportunity" youth. Delisa Patricio is an administrative member of the United Youth Leadership Council and speaks from experience. "As a young mother, I've seen mothers who come from a certain economic background and may need their older children to go to work. And that most likely prevents them from getting a high school diploma," said Patricio, who is Tohono O'odham. Organizers say the backpack represents both education and displacement. A pamphlet for the project states, "The backpack has been our desk, our pantry, our closet, our pillow, our home, our stability." Katy Gross, left, and Delisa Patricio.